Orme Park Turtle Release a Success! We had a successful release of five turtle hatchlings at Orme Park today. 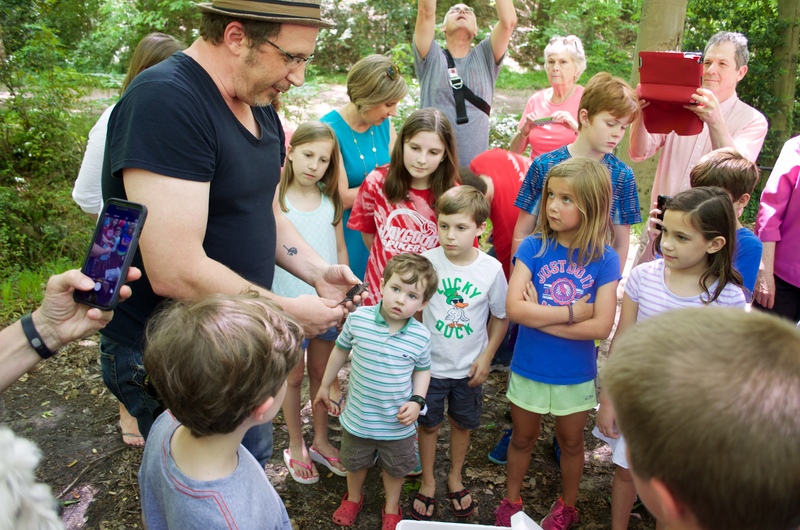 With a crowd of about 40 on hand (including many fascinated children) Atlanta Botanical Garden’s Mark Mandica led the event, allowing the children to touch and handle the turtles before they were released. You’ll remember that Mandica and his staff, along with concerned residents, were instrumental in the rescue and care of the hatchlings. Go to vahi.org for articles on how the turtle nest was discovered and protected and how the hatchlings were saved from an almost certain demise. Thanks again to Mandica and his staff for all their care and concern for the Orme Park turtles over the past few months. 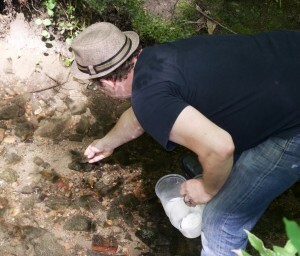 The five young hatchlings they’ve nurtured are now fending for themselves along the creek in Orme Park. Mandica gives them an excellent chance for survival and a long life. We sure hope he’s right. Here’s a link to photos from today’s release event. This entry was posted in news, Uncategorized and tagged ormepark, turtles by John Becker. Bookmark the permalink.